Nokia today introduced the Nokia 5530 XpressMusic, a compact XpressMusic device that uses a touch interface for accessing people and content on the brilliantly clear homescreen. The ‘scrolling’ Contacts Bar provides direct access to 20 people and their latest conversations and media updates. The homescreen also features one touch shortcuts to content and popular social networks, like Facebook and MySpace. The Nokia 5530 XpressMusic follows in the footsteps of the top-rated Nokia 5800 XpressMusic, expanding the touch XpressMusic phone range with a youthful device that has a solid stainless steel frame finish and comes in five vivid colors. 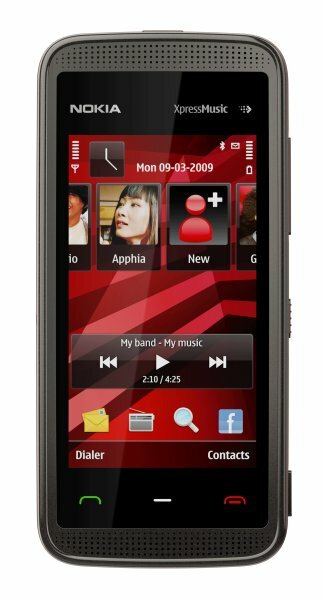 At the core of the Nokia 5530 XpressMusic is the music and entertainment experience. It is an ideal device for those who wish to quickly and easily access, share and mix a huge selection of media. 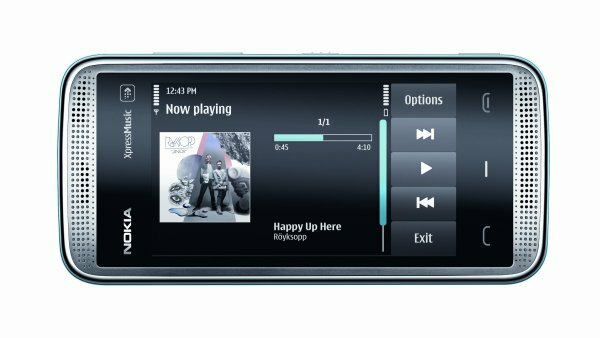 In true XpressMusic form, the Nokia 5530 XpressMusic is a great music player with 27 hours of playback time, excellent audio quality and a 4 GB memory card for storing music and other media. Videos, either self made or from social media sites such as Youtube and Facebook can be enjoyed on the brilliantly clear 2.9 inch widescreen display. New music can be purchased through the Nokia Music Store, either directly on the phone or through a PC. 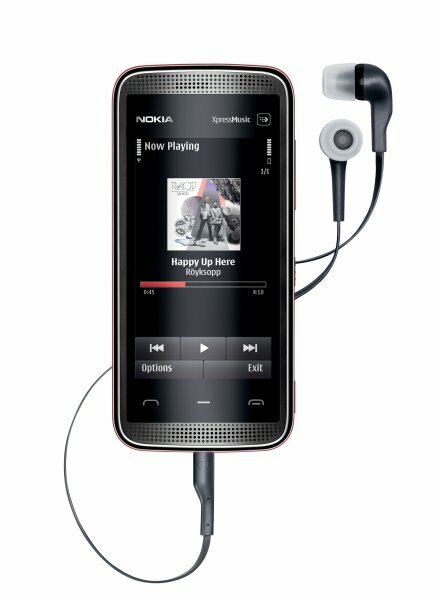 The music collection is easily managed and can be synchronized with the PC using the Nokia Music for PC application. Calls and music can be conveniently managed and listened to with the Nokia Stereo Headset WH-205 with tangle-free cable. The innovative ‘people carousel’ features thumbnail images of up to 20 close friends and provides easy access to them and their communications history including emails, phone calls, photos or other social media updates. 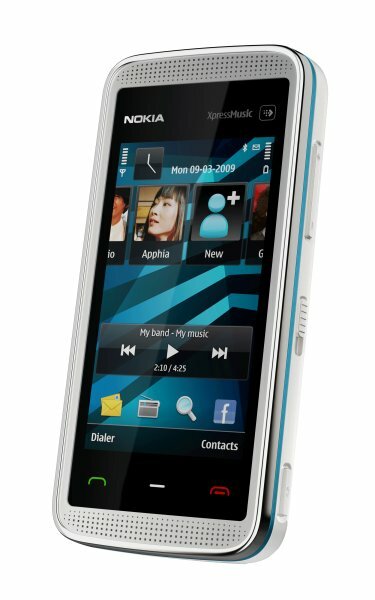 The Nokia 5530 XpressMusic also features the pop-up Media Bar so music, photos, videos, Internet and on-line sharing applications such as Ovi Share, Flickr and VOX are just a touch away. The Nokia 5530 XpressMusic supports GSM/EDGE networks and also offers fast and affordable access to internet services via the integrated wireless LAN over the ubiquitous wireless networks. Nokia is collaborating with Boingo and offers three months of free Internet access in select markets. Boingo works with hundreds of hotspot operators around the world in familiar locations such as airports, hotels, coffee shops and restaurants. The Nokia 5530 XpressMusic is expected to begin shipping in the third quarter of 2009 at an estimated retail price of EUR 199 before taxes and subsidies.